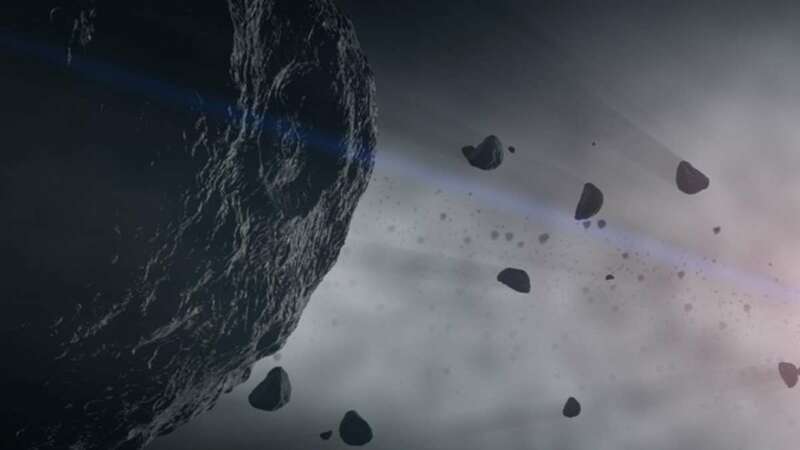 New Delhi : NASA's OSIRIS-REx has come up with new discovery about the asteroid Bennu. In the asteroid sampling mission scientists have observed particle plumes erupting from the surface of Bennu. To inform, the asteroid bears the size of the pyramid at Giza and Origins, Spectral Interpretation, Resource Identification, Security-Regolith Explorer (OSIRIS-REx) spacecraft began orbiting it on December 31. The particle plumes were first discovered on January 6, followed by additional particle plumes over the last two months. While some of the particles were slow-moving, the others were found orbiting Bennu, like small satellites. Also, it has been found that the surface of Bennu is rough and dense with boulders, contrary to the Earth-based observations, which showed a smooth surface with a few large boulders. For now NASA will make sure that OSIRIS-REx can touch down and collect a sample to study Bennu further. "The discovery of plumes is one of the biggest surprises of my scientific career," said Dante Lauretta, OSIRIS-REx principal investigator at the University of Arizona, Tucson. "And the rugged terrain went against all of our predictions. Bennu already surprises us, and our exciting journey there is just getting started," Lauretta added. The team also observed a change in the spin rate of Bennu as a result of what is known as the Yarkovsky-O'Keefe-Radzievskii-Paddack (YORP) effect. The uneven heating and cooling of Bennu as it rotates in sunlight is causing the asteroid to increase its rotation speed. As such, Bennu's rotation period is decreasing by about a second every 100 years. OSIRIS-REx is expected to return a sample of the asteroid to Earth in 2023. Further findings will allow researchers to learn more about the origins of our solar system, the sources of water and organic molecules on Earth, the resources in near-Earth space.